EAGLEVILLE, Pa. -- The Methacton Education Association and the Methacton Board of Education agreed to enter into non-binding arbitration Wednesday evening. This agreement means that the teacher strike has ended and students will return to class on Friday. Schools will remained closed Thursday in observance of Rosh Hashanah. Teachers began walking a picket line Monday after the two sides failed to reach agreement the night before. The contract covering about 400 teachers expired at the end of June. 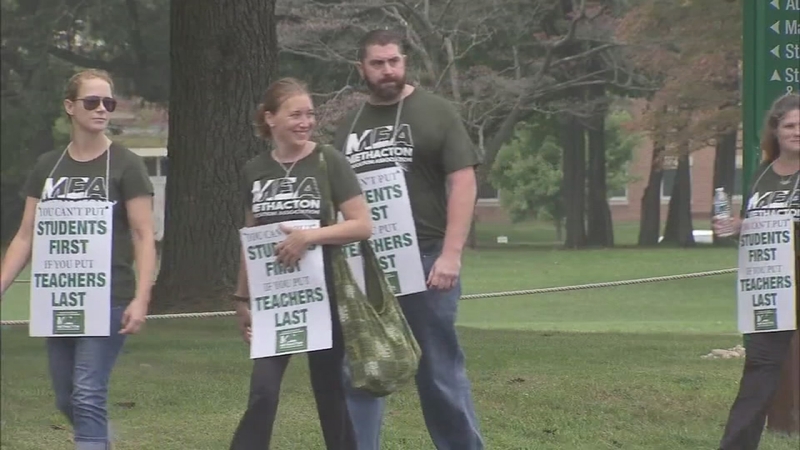 A stalemate in the bargaining process lead to an announcement Friday by the Methacton Education Association that its members had authorized a strike. The union represents over 400 teachers and professional staff. Some 5,000 students are enrolled in district schools. The issues being negotiated include salary, benefits, class size, teacher-student ratio and team teaching.